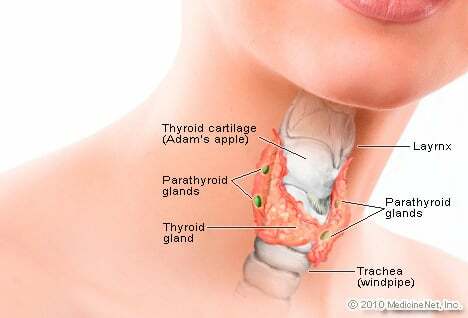 I was recently diagnosed with thyroiditis. The lady who give my blood at the clinic I go to, said my thyroid goes up and down. I am tired all the time and have no energy. I also have muscle aches and pains. My head feels funny all the time and my balance is out of whack. I have been feeling like this for years now, but was afraid to say anything as I didn't want anybody to worry. I wish I had said something a long time ago, but I didn't and now I regret it because it is awful when you feel lousy 24/7. I have hyperthyroid and my symptoms were swelling, tiredness, and sudden weight gain. I have had thyroid problems for years. Initially hyper and then hypo (now). I wonder if one can have hyper and hypo symptoms simultaneously or maybe I am suffering from something else. I have shortness of breath, loss of balance (I walk like a drunk especially when I look sideways), muscle weakness, pounding heart, high blood pressure, coordination, and tremors, I get words wrong, and lack fluency; and yet my blood results are within range. It took years for any doctors to take me seriously. I was told that I was fine and may be depressed. I eventually found a great doctor who was working on a bowel syndrome and he found out what was wrong. I am exhausted most of the time. One thyroid was removed due to a large growth on the larynx, which could have been avoided if it had been managed properly. My memory is very bad. This could be because, I feel that there is a connection with chlorine in the water. Also stress and smoking could be factors, as I smoked as a young girl. I was diagnosed with hypothyroidism. I had weight gain, heat intolerance, palpitations, dry skin, and fatigue. After being on Synthroid for a couple of years, eventually my thyroid levels returned to normal. I still have to have it checked annually to make sure it doesn't return. As per my thyroid test T3 is 112, T4 6.34, and TSH is 9.3. I was having severe hair loss/fall since past three months. I wonder if this is a symptom of thyroid disorder. I have hypothyroidism, I took a blood test from a doctor here. I have burning sensations in my arms with thyroid problems. I had a little swelling in front of my neck. It was very small at first and later on after one month it became larger and I got pain in it. I had pain and fever one night, and headache also. I am concerned it might be my thyroid. I have had hypothyroidism since 5 years and am taking treatment with Eltroxin 100 mg. I take blood test (TSH) every six months but I feel tired. I have antithyroid antibodies (antithyroglobulin AB and antimicrosomal AB) which was positive with high range 108 and 668. My symptoms are hot flashes or prolong intervals of hot sweats, shortness of breath, I have pain in my legs which at times swelling occurs and redness. My back spasms and I feel like I am being given electric shocks. I can walk out of one room and feel fine then by the time I get to the next room I feel foggy and my memory is blurred with all of the above symptoms occurring. My mood is up and down as is my weight. I have been asked at work if I had a drug addition due to some of my symptoms and been made to test. Good thing my test came back negative or I would be fired due to have a thyroid illness. I am wondering if other people go through this and if so what do they take for it? I had fatigue, eye problems, couldn't swallow, it was difficult to talk or move my legs. I also had brittle nails and night sweats. With my thyroid disease my symptoms include cold intolerance, brain fog, loss of hair, nails falling apart, weight gain.....etc. I've got 48 out of 50 symptoms and have been taking thyroid medications over 11 years. Armour worked the best until they decided I should change and now I am a mess and worse. Going back to Armour at a lower dose but something is still wrong. I am allergic to seafood and iodine. Really sick of whole process at this point. I experience weight gain and weight loss with my thyroid disease. I can lose 4 or 5 pounds in a couple of days if I do not eat right. I gain it back if I eat right, but I still remain underweight. It's very hard to get at my optimum weight. I'm 5 feet 10 inches tall, and I weigh 129 to 130 pounds undressed. I had significant hair loss and had no idea why. Also, I had constipation, brain fog, fluid retention, exhaustion, and no motivation. It felt as though my legs could hardly move or like I was walking through thigh-high mud. All I wanted to do was lie down. I became depressed and emotionless. I had a huge weight gain and it felt like nothing I ate ever turned into energy. Which was exactly right. Some people don't understand how debilitating and life-affecting it can be. Doctors always tell me that I have hypothyroidism, based on my tsh levels, I am doubtful since I only have a problem with hair loss. I have tried Levothyroxine before, but I experienced heart palpitations, and I have been told by a new doctor that I need medication again, no thanks. I have been taking Levoxyl 137MCG half tablet every day for the last two years, now my doctor prescribes Levoxyl 75MCG. I have constipation, always cold some hair falling out. Tell me if I will be better with this medication or I need something different. Thyroid gland can be seen when the neck is extended.